Adam Richman is on the hunt for hidden food havens. This week, the Travel Channel announced their new series Secret Eats with Adam Richman will premiere in August. Secret Eats with Adam Richman premieres on August 8th at 10 p.m. ET/PT. NEW YORK (July 7, 2016) – Culinary traveler Adam Richman shares information about some of the world’s most amazing off-the-grid restaurants and mouthwatering off-the-menu dishes in Travel Channel’s “Secret Eats with Adam Richman.” Premiering on Monday, August 8 with back-to-back episodes at 10:00 p.m. and 10:30 p.m. ET/PT, the series showcases Richman’s contagious enthusiasm and passion for discovering underground eats and follows him as he searches the world for mysterious, intriguing culinary hideaways. In the season premiere, Richman travels to London in search of the city’s secret eats. First, he must convince a detective agency to take on his case in order to get into a secret speakeasy restaurant. Then, he must dance for his dessert when he orders a secret menu sundae at a Soho diner. Later, Richman searches for a restaurant hidden inside an antiques and architectural salvage market. Finally, he gets a taste of Kansas City right in the middle of London with an off-menu barbecue brunch sandwich. What do you think? Do you watch the Travel Channel? Will you watch Secret Eats? 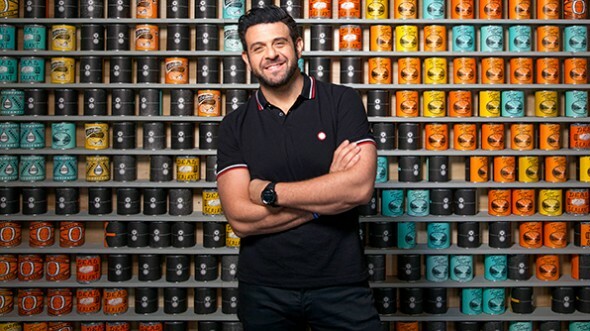 More about: Secret Eats with Adam Richman, Secret Eats with Adam Richman: canceled or renewed?, Travel Channel TV shows: canceled or renewed?